Android Oreo version 8.0 has been officially released by Google to all compatible and supported Android smartphone and tablet devices and currently, it’s limited to Pixel and Nexus mobile phones. But now it doesn't matter if you're an Android developer or a general public user, now you too can experience all latest Android Oreo Features and Functions on an incompatible and unsupported device as well i.e. Your Computer (PC) or Laptop (API Level 26). Yes! 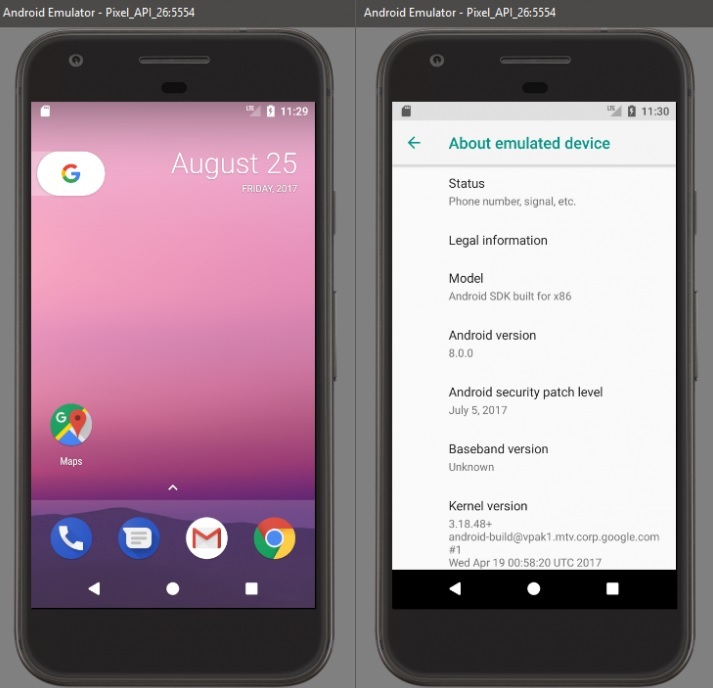 It’s now possible to Install and Run Android 8 on PC via Emulator using Android Studio software available for Windows and macOS provided by Google itself. 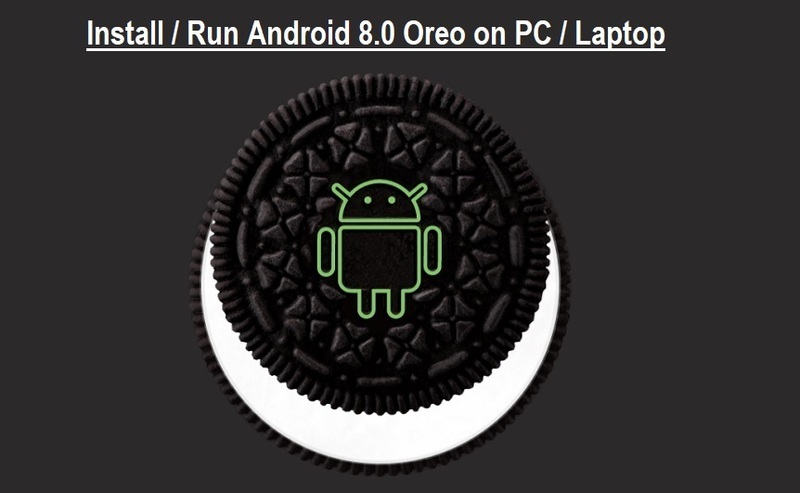 It's the best way for Android developers to Test and Run Android Apps and Play Games on the latest APIs provided by Android Oreo v8.0 without owning physical Android-powered smartphone or tablet device, whereas Android general users can explore all new features of Android Oreo v8.0 after running a full-fledged live Android Oreo on computers and laptops. So let's start this useful guide and tutorial on How to Install Android 8.0 Oreo on a Computer via Emulator using Android Studio tool. Step #1: Download Java Tools from HERE (Select JDK and JRE compatible with your PC), and install it on your system. Step #2: Download Android Studio 2.3.3 package from HERE, and install it on your computer. Step #3: Open Android Studio software and create a new Android Development project. Now navigate to Tools >> Android >> AVD Manager from the top menu. Step #4: After that, you will need to create a new Virtual Device for Android Oreo v8.0. Now within AVD Manager, Click on "Create Virtual Device" button. Step #5: On next screen, you need to select your device to emulate. Choose "Pixel" device to get latest Android 8.0 Oreo Emulator on your PC or you can also select "Nexus 5X" or "Nexus 6P. After device selection, click "Next". Step #6: On next page, you will be asked to select Android OS Version. Here select "Android O or Oreo" and make sure API Level 26 is appearing on the right information panel, now press "Finish". Step #7: To begin Android 8.0 Oreo System Image downloading and installation, select "Accept", and press "Next". Step #8: After downloading and extraction process finishes, click on "Finish" button. Step #9: Now Android Studio will display System Image screen again, just select "Android O or Oreo" to ensure its showing API Level 26. Step #10: After that, Android Emulator will ask a name for your AVD, just enter any name and press "Finish". Step #11: Now to run the Android 8.0 Oreo on Your PC, just select your newly created Android Virtual Device name on an Android Virtual Device Manager screen, and press the "Green Play Button" under actions tab. Now the emulator will start Android 8.0 Oreo within few seconds and welcome you with the home screen. Congratulation!! You're done.